Elliot and the Ghost blast forth a distinct, invigorating sound, making a name for themselves in the crowded NYC music scene. 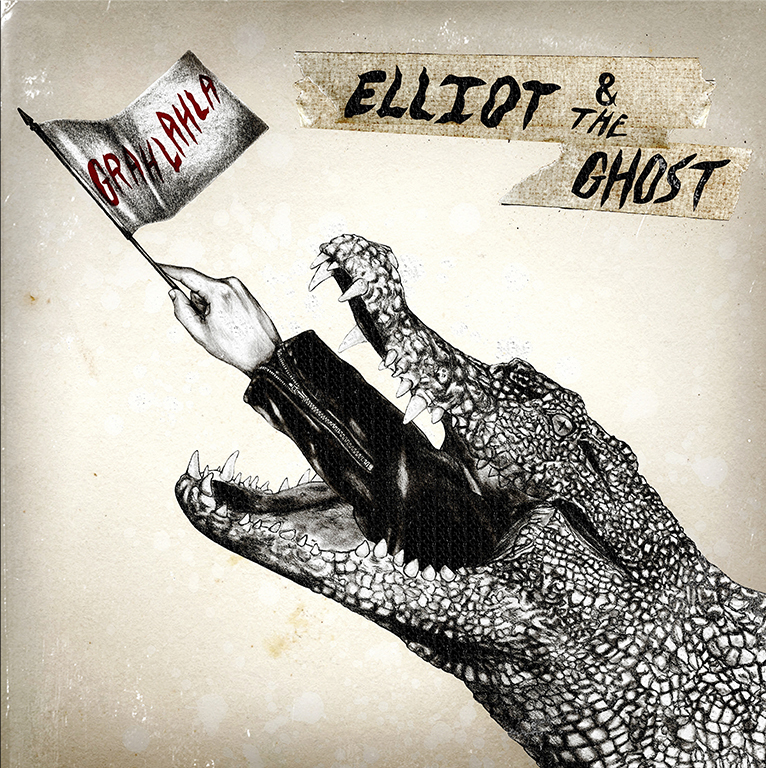 Following the release of several highly-acclaimed singles over the past few years, Elliot and the Ghost return with their strongest effort to date. After supporting artists including Weezer and Gary Clark Jr, and performing at SXSW, the band brims with a confidence that shines through on their latest release. The group’s attention to detail pays off marvelously on Grahlahla, with Thompson’s lyricism a particular highlight. From the well-written verses to surfy guitar lines to immersive background rhythms, each track reveals new intricacies to appreciate with every listen. Grahlahla is the rare record for which the fiftieth time hearing it is as enjoyable as the first. This is one you’ll want to put on repeat. Listen to the new EP Grahlahla below, and check out Elliot and the Ghost at their show in Brooklyn, NY on May 26th!